Increase spend with Maryland MBE/WBE/DBE vendors by $30M over the next three years. Year One Progress: Increased spend by $59 million with Maryland M/W/DBE vendors. Year Two Progress: Increased spend by $6 million with Maryland M/W/DBE vendors in 2017, for a total increase of $65 million over the 2015 baseline. Year One Progress: Participated in the BLocal BUILD College. Year Two Progress: Participated in the BLocal BUILD College. Identify MBE/WBE/DBE general contractors, construction managers, and subcontractors that can join in a mentoring relationship with Whiting-Turner on Johns Hopkins’ Baltimore area projects. 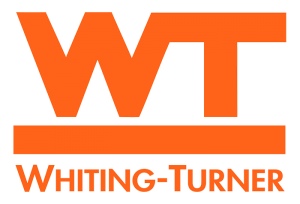 In 2016, Whiting-Turner will start a relationship with two new mentees and increase one per year for the following two years for a total of four by the end of 2018. Year One Progress: Confirmed three new mentee relationships with Commercial Interiors, Mahogany, and Harbor Bank. Year Two Progress: Confirmed one new mentee/partner relationships with Matos. Hire 25 candidates interested in engineering, construction, and business administration from the Hire One Youth Program. Year One Progress: Hired 25 youths through the Hire One Youth program in 2016. Year Two Progress: Hired 26 youths through the Hire One Youth program in 2017. Continue to meet participation goals for local hiring and workforce training on all Johns Hopkins construction projects through our partnerships with Project Jumpstart and other workforce training programs. Year One Progress: Hired nine Baltimore City residents in 2016. Year Two Progress: Hired 38 Baltimore City residents in 2017. Endeavor to increase non-construction spend with Baltimore-based businesses, including those owned by minorities and women, to $100,000/year by the end of 2018. Year One Progress: Spent $1.34 million with local diverse companies in 2016, an increase of $257,000 compared to 2015. Year Two Progress: Spent $1.72 million with local diverse companies in 2017, an increase of $380,000 compared to 2016. Whiting-Turner holds Get Down to Business events three times a year to increase the visibility of our portfolio of projects among the MBE/WBE/DBE business community. We will invite and encourage the attendance of Johns Hopkins (University, Medicine, Real Estate, APL) to present projects at these events. Year One Progress: Held three Get Down to Business events attended by 335 vendors showcasing 108 projects. Year Two Progress: Held three Get Down to Business events attended by 360 vendors showcasing 90 projects. G.W.C. Whiting and LeBaron Turner founded The Whiting-Turner Contracting Company in Baltimore in 1909 on the belief that integrity, engineering talent, and a dedication to our customers would make us the very best in the construction industry. For more than a century, our success and reputation in the marketplace have been testaments to their wisdom.